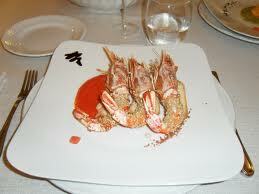 In traditional Sicilian cuisine there is an extensive use of fish. Both the great and noble fish such as tuna or swordfish, or small fish fished with nets or found under sea rocks, are a caracteristics of the local cuisine. Tuna or sword fish also accompany pasta dishes, while the blue fish, and smaller fish, can often turn into tasty pancakes. However, tomato and various vegetables are always part of the Sicilian cuisine, so to create unique flavors.